We’re going to be honest here. When we decided to do our latest “Goddamn it, Japan, You’re Doing it Wrong” segment on McDonald’s in Japan, we were really worried. 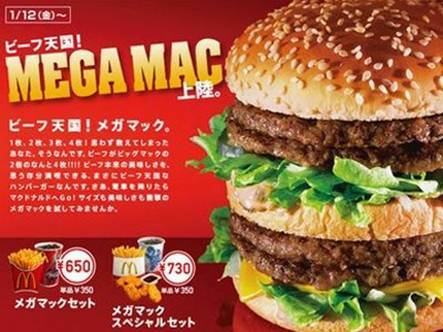 Hell, we’ve already told you about McDonald’s in Japan was only so happy to follow Burger King off into the “black-burger-buns” abyss last year, so we anticipated a lot of terrifying concoctions. 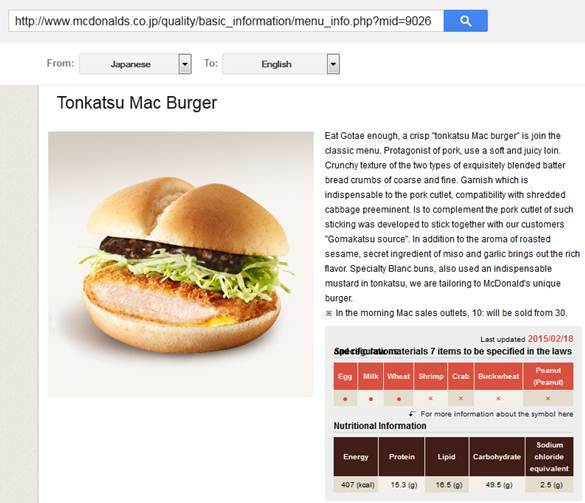 Google’s translation of the official Japanese McDonald’s website didn’t do much more to instill any confidence in us. 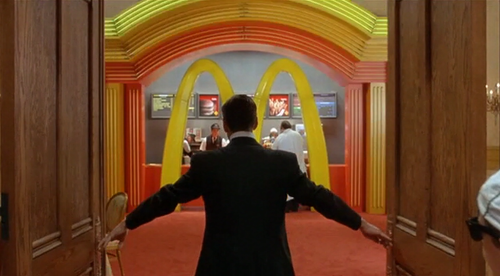 And we went through the menu items, and the limited time items, and all that Japan McDonald’s has to offer, and what we found was…strangely not as terrifying as we feared. The Cheese Tsukimi Burger is a chicken patty, which is boring but whatever, with two slices of bacon, a fried egg, cheddar cheese, and a ketchup/mayo sauce that we’d actually eat! Japan manage to avoid every bad impulse they had to put pineapple on their Hawaiian Burger, and instead went with a ¼ pound burger with egg, bacon, cheese, and a bun topped with grated cheese, which sounds kind of great! In fact, Japanese McDonald’s manages to create a surprisingly varied menu where most items look pretty tasty, and with most only going into “sorta weird, but not gross weird” territories of like, a hamburger with pastrami on it, or a savory version of the apple pie filled with bacon and potato. We’d try those out of hesitant curiosity, as opposed to what we normally cover in our articles on Japan, which is foods we’d try out of masochistic fear. But this is Goddamn it, Japan, You’re Doing it Wrong, goddamn it. And we have a reputation to maintain. So yes, McDonald’s in Japan is largely interesting, and seems to be slightly more upscale than what we’re used to here in America, but that doesn’t mean they don’t have terrifying, horrific duds in their expansive menu.